Jason Baustin is an integral part of film projects at Bello Studios. 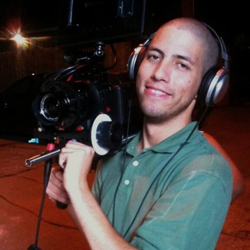 Jason has written, directed, produced, and edited numerous films, commercials, and music videos throughout his eight years in the entertainment industry. He has also worked at Discovery Channel as a Digital Media Producer/Editor for five years. Jason’s passion is helping our clients effectively tell their stories through captivating sound and video, attractive motion graphics, and top-notch post-production editing.